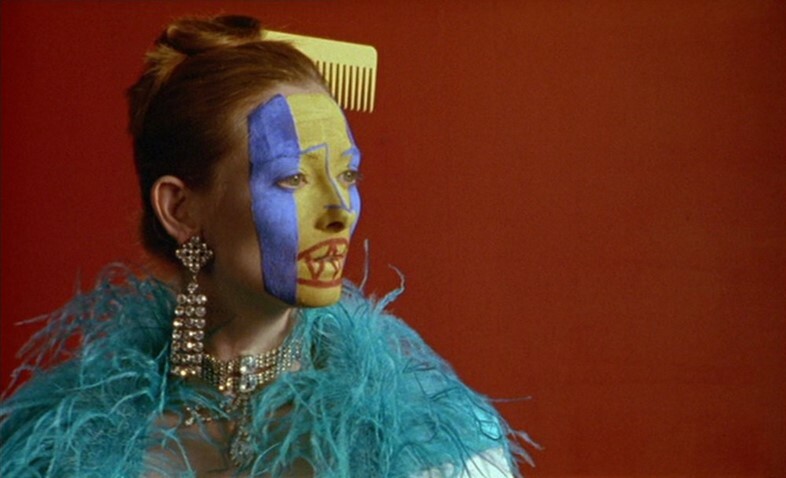 Derek Jarman’s penultimate film, Wittgenstein presents the life and ideas of the great 20th-century philosopher from Vienna. It means nothing to Midge Ure but who asked him? Like Caravaggio, this is another avant-garde, anachronistic film about a gay iconoclast, designed in fittingly iconoclastic style. It trades Caravaggio‘s striking set design (Jarman was production designer on a number of Ken Russell features) for a more theatrical, fourth-wall-breaking style, staging a series of tableaux, lectures and conversations against a black backdrop. 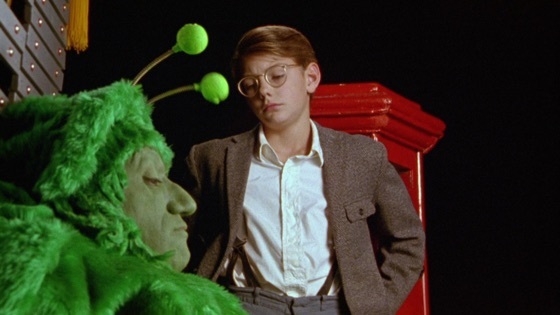 Jarman comes up with inventive, surprising ways to visualise Wittgenstein’s radical view that there are no philosophical problems, only misunderstandings of language, not unlike the way Richard Linklater’s Waking Life uses surrealist imagery to visually represent a range of philosophical discussions. Wittgenstein shares with Blue music by Erik Satie and a bold use of colour, with John Maynard Keynes’ (John Quentin) Joker-esque costume and Bertrand Russell (Michael “Alfred Pennyworth” Gough) lending the movie a weird Batman vibe. 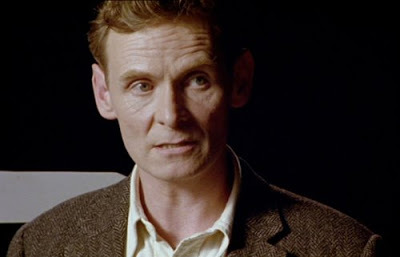 The script by Jarman, Ken Butler and Terry Eagleton puts the wit in Wittgenstein, while Ludwig himself is individualistically played by Karl Johnson (Hot Fuzz). His outlander sensibilities are matched by outlandish characters, including a martian (Nabil Shaban) and Tilda Swinton (who’s famously from Jupiter). This is an interesting, audacious celebration of art, intellectualism and nonconformity, and of a man who maintained that by themselves, words mean nothing. So Midge Ure may have been right all along.